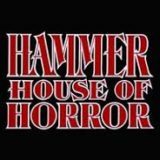 Hammer House of Horror consists of thirteen 51-minute episodes, created by the legendary Hammer Films Production company. The stalwart of Hammer Films, Peter Cushing, appears in one episode called The Silent Scream. Each episode features a different kind of horror, and they run the gamut from witches, werewolves and ghosts to devil-worshipping and voodoo. Some non-supernatural horror themes are also broached such as cannibalism, confinement and serial killers. In 2003 Channel 4 placed Hammer House of Horror at No. 50 in its “100 Scariest Moments” show. The Silent Scream – Safecracker Chuck Spillers is released from prison, and immediately visits an elderly pet shop owner who visited him in prison and gave him money as he knew what it was like to be locked up. Unfortunately for Chuck, the pet shop owner is secretly a former Nazi concentration camp guard and is intent on continuing his experiments in advanced human conditioning techniques. His plan is to create prisons with no bars, for which he captures Chuck and his wife. Growing Pains – After their son, William, dies, the Mortons adopt Jamie from the Nesbit children’s home. Soon, the Mortons are beset with a series of odd events and disasters which have a devastating effect on his adopted father’s research. Could William Morton’s spirit be responsible for the seemingly inexplicable events unfolding in the household?